Michele is a multicultural and versatile senior advisor in international business development, sales & marketing and change management with a proven track record of successful achievements across the Middle East, India, the Gulf Cooperation Council, European and African countries. I first came across the concept of Positive Deviance (PD) in the context of the thesis that I wrote as part of the CCC Consulting and Coaching for Change course 1. I had decided to explore how Saudi Arabian women become leaders in their country. My interest in this topic emerged in light of the ongoing reforms which have been revolutionising the Kingdom of Saudi Arabia since 2017, when the arrival of the 32 year old Crown Prince Mohamed Bin Salman instigated numerous decrees that would allow Saudi Arabia to diversify its oil-driven economy. A series of social reforms has begun to ease women’s condition in this religious state that is underpinned by Wahabism – a radical form of Sunni Islam. These newly-promulgated decrees cover civil and social aspects of life, such as lifting the ban on women’s driving, allowing them to attend sporting events in the national stadium, etc. When I started exploring existing literature around women’s leadership in Saudi Arabia, I was struck by the fact that despite the stringency of the Saudi regime and its cultural constraints, some women had been successful over the last few decades in becoming business leaders in one way or another. I realised I could not ignore these exceptions, the ‘silver lining’, those few outliers who had somehow managed to manoeuvre within or alongside the system to become successful leaders and entrepreneurs – and yet remain in tune with their society, proudly claiming their culture and their national values. This intriguing question led me to consider the potential existence of an underlying PD behaviour within the system. In order to find an answer, I focused my research question on how a minority of Saudi women leaders build and preserve their identity in the context of the prevailing socio-cultural constraints. Although I had not approached this subject from an interventional perspective, I believed that using the PD methodology of investigation would help me explore how the journey of some Saudi women enabled them to overcome resignation and fatalism - despite the fact that their life experiences remain enmeshed in a complex social system that could prevent such achievement. I knew that the key to unlocking these ideas would be found at the heart of women’s life stories. To explore these, I spent 15 days in Saudi Arabia and I chose the ‘life narrative’ interview process to talk to 19 women leaders of different ages (28 to 58) in Jeddah, Khobar and Riyadh. The ‘life narrative’3 interview process invites participants to consider their lives as a book, enabling the emergence of key moments, people, influences etc, through their story-telling. I speak Arabic, the language of their heart, which gave me privileged entry to their confidence and access to their innermost stories. I used the PD investigation method of open listening, remaining flexible and respectful of the sensitivity of the information that they were sharing with me. At times I allowed myself to admit my own vulnerability and share my own stories, which created a safe space for them to express their own emotions. As a result, I was able to collect extensive data about the women’s childhood, their families, their education, their lifestyle, their hopes and fears and also their successes as leaders in the patriarchal society of Saudi Arabia. I had embarked on my research with the assumption that each Saudi woman leader would be a ‘warrior’, fighting for her dream against the constraints of her society. What I discovered was that each of the 19 women demonstrated agency and determination to become leaders through their resourcefulness, diplomacy and ability to manoeuvre around the cultural limitations. I also discovered that behind each woman stood a strong ‘pillar’, in the form of her father or a fatherly figure, which was another surprising finding. I had assumed that Saudi fathers would be obstacles to their daughters’ fulfilment, whereas I found that they shielded them from the constraints of their society and encouraged their education, allowing them to travel and obtain international degrees, and work in gender-mixed environments. I found myself wondering: who actually is the Positive Deviant? The daughter? Or the father? I am tempted to speculate that the father demonstrates equal PD behaviour, fuelled by a strong desire for his daughter to become a female leader in Saudi Arabia and a willingness to support her self-realisation. The PD methodology provided a helpful framework to explore, design and carry out my research. Furthermore, it gave me guidance on how to conduct myself in the interview process, for example refraining from using leading questions, jumping to conclusions, interrupting and giving advice, or allowing my personal biases to contaminate the integrity of the narratives. Finally, the Saudi Vision 2030 places great importance on growing, educating, developing and enabling a new generation of women leaders. My research took place over 3 months in 2018, reflecting a moment in time at the genesis of this nationwide initiative. These preliminary findings show that beyond the Saudi culture and its societal paradigms, the importance of the family culture is at the heart of the solution. I believe a PD intervention involving other participants, including women and their fathers, mothers, family members and their support systems, would provide an interesting opportunity to expand the solution space. McAdams, D. P. (2001). The psychology of life stories. Review of General Psychology Review of General Psychology, 5(2), 100–122. 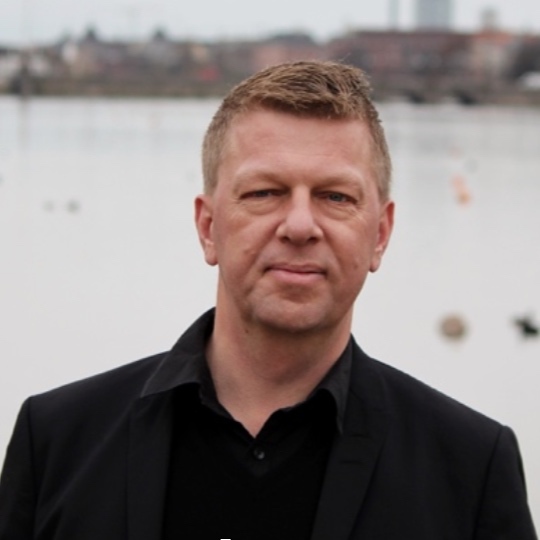 Lars Thuesen is a change leader with over 20 years of experience as a leader and senior civil servant, facilitator and consultant in the public sector. In his work the focus is on what already works well to create sustainable solutions in the communities. He leads and facilitates change processes combining different co-creation and community based approaches to obtain the best possible impact. In 2007, as newly-appointed head of strategy and organizational development in the Danish Prison Service, my team and I faced numerous challenges. The reputation and image of the prison service was at a low point. We were being criticized by politicians, the media, the trade unions, and even, internally, by our leaders and staff. Our CEO wanted my team to present a solid plan for change. We had tried several change initiatives previously, but nothing had worked effectively and could be sustained. During the summer of 2007, I met PD co-founder Jerry Sternin and change leadership scholar and author, Richard Pascale, while participating in an executive masters’ program at Oxford University in the UK. Jerry introduced us to Positive Deviance (PD). I came away truly inspired and also puzzled, because I knew that if my team were going to test and implement this approach, we needed to unlearn or at least let go of a lot of our normal ways of working and be open to new mind-sets tools and innovation processes. I called Jerry and we decided to bring PD to Denmark and initiate a pilot project in the prison service. My colleagues were highly skeptical, but I managed to persuade them to give PD a try. A prisoner’s heavily-tattooed hand on the guard’s shoulder at Nyborg maximum security prison, showing the high degree of trust and relationship building. Source: Personal files of the author used with permission. After 15 years of serving as a senior manager, I decided to leave the prison service in 2014. I wanted to explore more ways to help people in vulnerable communities to solve complex social problems using asset-based social change approaches to disseminate and upscale solutions of ‘what already works well’. In Moldova, we have been helping UN Women and partners to accomplish their goal of reducing violence against women, which in Moldova is a serious problem rooted in cultural norms with almost 7 out of 10 women experiencing some kind of violence. The PD team has since 2015 managed helping communities discover positive champion behaviours among survivors of violence, police officers, social workers and even former aggressors and upscaled them with impressive results. A key principle has been a ‘if it is about me – not without me’ philosophy. Because violence is a very complex and relational behavioural problem, it has been very important to involve all relevant stakeholders at different levels. Therefore, a key driver of progress has been the ability to enlarge solution and innovation spaces by engaging relevant partners and community members at multiple levels. And even politicians in the parliament. It has been possible to psychically bring people together from different sectors and levels to have conversations about change. But also, in terms of changing perspectives and mind-sets. We have experienced that a combination of internal and external change facilitators is a powerful driver for positive change. Women positive champions: survivors of violence and supporters demonstrating in Moldova. Source: UN Women used with permission. Once successful PD behaviours have been discovered and unraveled, it is crucial to help communities to disseminate and upscale. Thinking of effectively tools of keeping track of success evidently comes to mind. As professionals we usually define indicators for success and impact. It is in our DNA. A positive deviance innovation process involves community stakeholders deeply in defining criteria for success and performance indicators. That is different from traditional change approaches. This can be done by helping communities develop scorecards that can be used as supporting structures for dialogues among community members as they monitor the progress of change. For example, during workshops in Gaza and the West Bank in 2018, local NGO’s and we helped community members develop quantitative and qualitative indicators – so-called community scorecards and tools – so they can keep track of upscaling of positive champion behaviours to reduce early and relative marriages, improve women’s heritage rights, and improve sharing household work. Community members also agreed to meet monthly or bi-monthly with updated scorecards to discuss progress. Draft scorecard developed and presented by community members in Gaza, Palestine – not measuring and evaluation experts. Men and women for gender and equality project spearheaded by UN Women and NDC (local NGO). Source: personal files of the author used with permission. The PD process takes few weeks to understand the context of the community, therefore, go along-with local leaders, work in the community in a non-threatening way, for example, do not walk through community holding cameras or note books, it makes the community suspicious. Always conduct transact walk empty hand and make the mental notes and when you complete the walk, then sit and take notes. Respect community’s time and routines and always plan your work when community is available. If you plan your work based on their convenience, they will give you a quality time and you will come up with rich information. But if you go with your convenience, they may want to finish it early or do not give your quality responses. Muhammad Shafique is a specialist in communication and behaviour change with areas of expertise in malaria and dengue prevention and control, maternal and newborn health, and polio eradication. He has worked with Malaria Consortium, Save the Children, and Merlin organzations and in many countries, including Thailand, Myanmar, Cambodia, and Pakistan. To learn about other individuals with experience working with PD, visit our Facilitators page.